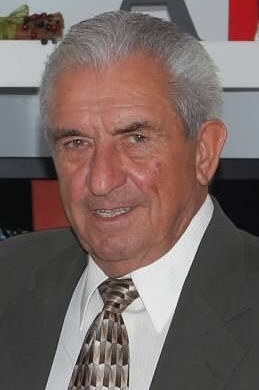 Carlos “Charlie” Almeida 82 of Acushnet, passed peacefully, Monday March 25, 2019, surrounded by his family, after a courageous battle. He was the husband of Umbelina (Marmelo) Almeida and son of the late Artur and Carmo (Rodrigues-Pires) Almeida. Charlie was a communicant of St. Francis Xavier Church. He was born in Quintas, Portugal and had lived in this area since 1957. He was employed by Barletta Construction for 30 years. Charlie was a founding and lifetime member of the Portuguese American Athletic Club. Survivors include his wife, his son Carlos “Charlie” Almeida Jr. and Nichole of Acushnet, his daughter Elizabeth Sanborn and Jerry of Windsor, CT, his brothers Hipolito Almeida of CT and Joe Almeida of Acushnet, his sisters Alice Moura of Lakeville, Teresa Hagerty of New Bedford and Tila Pinto of Fairhaven. He is also survived by his grandchildren Cody Sanborn, Kayla Sanborn, Chase Almeida, Alaina Almeida and nieces and nephews. He was the brother of the late Henrique Almeida. His funeral mass will be said 10am Friday at St. Francis of Xavier Church. Visiting hours are 5-8pm Thursday at the Boulevard Funeral Home 223 Ashley Blvd. Burial will be in Pine Grove Cemetery. In lieu of flowers donations may be made to Kai’s Garden of Life 24 Pleasant St. Hingham, MA 02043 or Cameron’s Kids 71 Bullivant Farm Rd. Marion, MA.